If you would like to double confirm the order with us or has any questions, pls. 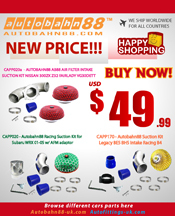 email us the transaction ID at shop@gexperformance.com Want to look for other carparts, pls .visit http://bonnet-damper.com/ Type ... Read more.. If you would like to double confirm the order with us or has any questions, pls. email us the transaction ID at shop@gexperformance.com Want to look for other carparts, pls .visit http://short-shifter.com/ Type Short ... Read more..
We are glad we have managed to gather 10,000 followers through our social networking activities on Gex deals ‘s Facebook page.Thank you all for taking interest in our work and ... Read more..
f you would like to double confirm the order with us or has any questions, pls. email us the transaction ID at shop@gexperformance.com Want to look for other carparts, pls .visit http://short-shifter.com/ Type ... Read more..
f you would like to double confirm the order with us or has any questions, pls. email us the transaction ID at shop@gexperformance.com Want to look for other carparts, pls .visit http://short-shifter.com/ Type Short ... Read more.. If you would like to double confirm the order with us or has any questions, pls. 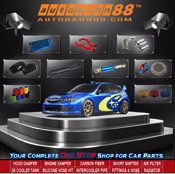 email us the transaction ID at shop@gexperformance.com Want to look for other auto-fittings products, pls .visit http://autofittings-uk.com/ Part ... Read more.. Type AN to NPT Adaptor Size - AN4 to 1/8 NPT - Straight Color - Anodized Blue Material - Anodize 6061 Aluminum Alloy Application - Universal - Fuel / Oil / Gas / Water Read more..